I'm a long time fan of State of Mind. They were the first plus size activewear range I can remember launching. Prior to this I'd managed to squeeze myself into an 18 from some of the sports giants, or I would usually find myself wearing leggings and baggy tees for the gym, workouts, yoga and any kind of active type stuff. State of Mind have always done basics and essentials very well. But recently they have launched a range of more bold pieces with funky prints, logos and more daring styles like crop tops and mesh pieces. Everything I love about State of Mind is still there though, quality of fabric, great fit and durability. Having been a fit model in the past for State of Mind I always find them true to size. 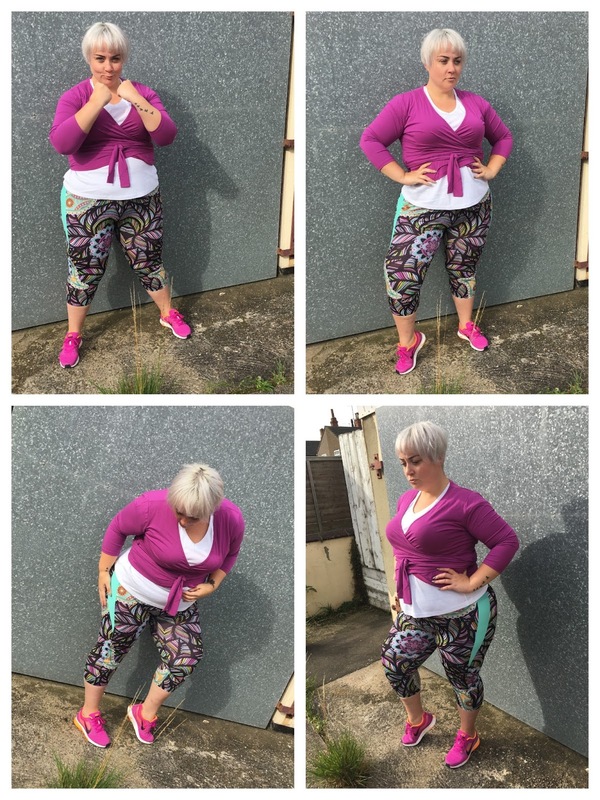 I'm wearing the floral capri leggings and the ballerina wrap top both in a size 22 which are perfect. I was concerned though when I put the leggings on they would be a little shallow in the waist as they didn't feel like they would come up very high, but they stayed put and didn't roll down which is awesome! I am mega impressed by the range and love the new bold pieces. You'll also find some funky accessories on the site too like water bottles and yoga mats. 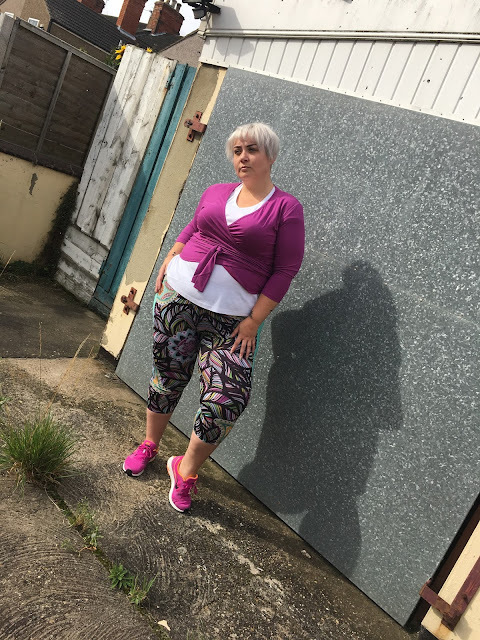 So if you're looking for workout gear, activewear or even just bright pieces for your fashion wardrobe, State of Mind are your gals! PS. 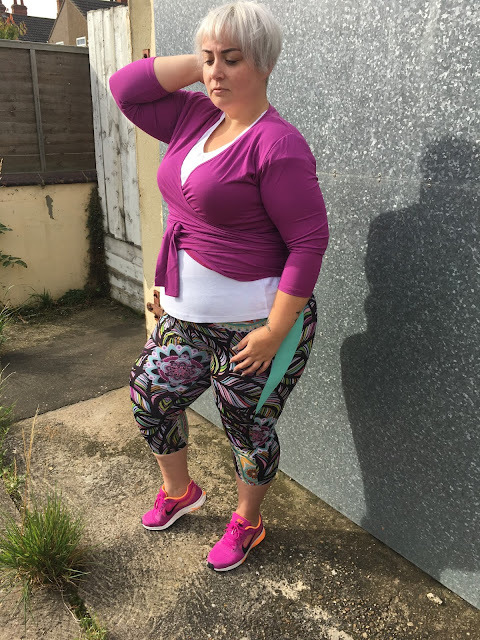 A huge thank you to Kerensa, the woman behind State of Mind who very kindly sent me some replacement leggings when I very stupidly lost the first lot somewhere in Liverpool. Good one Becks.